Type: Lithium. 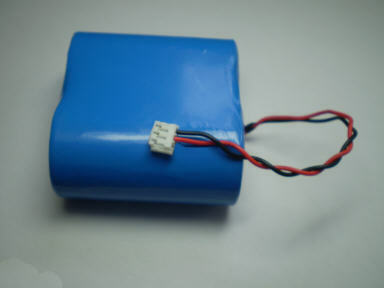 Voltage: 7.2 V.
Length: 63 mm. Width: 69 mm. Depth: 36 mm. Connector: three-way JST. Flex: Two wires 12 cm long. Price: £39.99 each. £35.00 each if you buy two or more. Postage and packing included. Also known as: 2LSH20P, 2LSH20S, 2S1PLSH20, 2ER34615M, 2S1PLSH20 and SIT 30106-800-003 Verine 30106800003. This 2LSH20 with lead and connector is used for gas fire ignition systems. The lithium batteries it is built from offers high capacity for a long battery life and high current drain capability. The original 2LSH20 batteries were made by SAFT. Our replacement battery uses higher capacity cells for an even longer battery life. 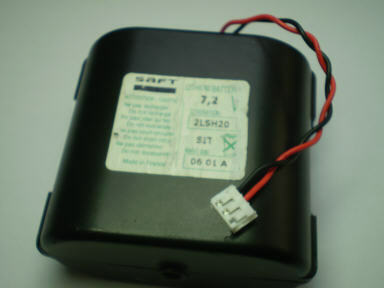 The original SAFT battery comes in a plastic clam shell marked "2LSH20" or "S1P LSH20 SIT" or "2LSH20 SIT" or "2S1P2LSH20"or similar. This 2LSH20 with lead and connector has a shelf life of up to ten years. Why not buy several, take advantage of our reduced price and make sure you are not left without a gas fire ignition system the next time your battery runs out.